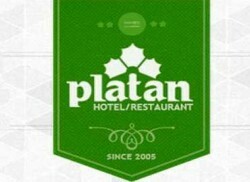 "Hotel PLATAN" newest private hotel, located in the picturesque town of Samarkand. It is located in the heart of our city and so within just one kilometer away are all the Central sights, squares, monuments, monumental buildings and other key points of the city such as: TC "GUM" Central Park "them. Alisher Navoi", various museums, cinemas and shops, which can be interesting places for visiting tour groups and visitors of our city.